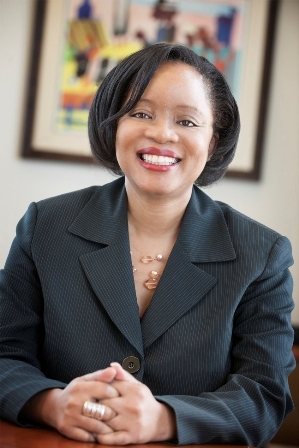 The Board of Directors of Metrolink today named Stephanie Wiggins Metrolink’s Chief Executive Officer. Wiggins is currently the Deputy Chief Executive Officer of the Los Angeles County Metropolitan Transportation Authority (Metro). Wiggins was responsible for overseeing the Metro departments of Vendor/Contract Management, Congestion Reduction, Human Capital & Development, Management and Audit Services, and Systems Security & Law Enforcement. Wiggins will lead a 261 employee-strong regional commuter railroad that covers 2.8 million train miles per year and 400 million passenger miles per year. The Agency is embarked on the Southern California Optimized Rail Expansion (SCORE) Program, a $10 billion plan to improve rail safety and service in time for the 2028 Los Angeles Olympic Games. Metrolink received a total of $875 million in grants from the state and is moving to secure additional funding for this program. As part of Wiggins’ more than 24 years of experience, she oversaw Metro ExpressLanes, commuter rail, rideshare, rail capital programs, served as Regional Programs Director for the Riverside County Transportation Commission (RCTC), and was Administrative Analyst for the San Bernardino County Transportation Authority (SBCTA). Metro, RCTC and SBCTA are three of the five county transportation agencies that govern Metrolink. Wiggins is a member of the Board of the American Public Transportation Association and is the founding president of the Inland Empire Chapter of WTS. She is the recipient of many awards including the Conference of Minority Transportation Officials (COMTO) 2018 Women Who Move the Nation Award. Interim co-Chief Executive Officers Don Del Rio and Ronnie Campbell will remain as General Counsel and Chief Financial Officer respectively. Wiggins replaces Art Leahy who announced his retirement on Oct. 12 after 48 years in transportation. Wiggins earned a Bachelor of Arts Degree from Whittier College and a Master of Business Administration from USC.